The apostle Paul writes to explain the good news of Jesus Christ, who as Messiah, is the Savior for all people; who as the Transformer of lives writes His Law on our hearts; and who as the Lord of history is carefully bringing this salvation to all nations — culminating in the restoration of Israel. Paul’s letter to the Romans is the best place to build secure platform that will bear all our weight. Paul acts as a kind of prosecuting attorney, presenting three cases. The first is his case against the pagan. Paul acts as a kind of prosecuting attorney, presenting three cases. In the second, verse 1-16, he addresses the moralist. In the third, verses 17-29, he addresses the religious. In chapter 3, Israel protests her innocence and Paul overrules her on each point, substantiating his indictment from the Old Testament. In chapter 3, Israel protests her innocence and Paul overrules her on each point, substantiating his indictment from the Old Testament. In chapter 4 Paul illustrates those claims with the life of Abraham. Paul ends his argument for justification by faith with a final summary: grace abounds. Paul answers the question: so if the Law multiplies our sin, is the Law sinful? Paul explains how faith in Jesus rescue us from the moral dilemma he described in Chapter 7. Paul argues that the Holy Spirit produces within believers grief over sin and eager hope for their inheritance. Paul argues that because of the activity of the Spirit, we can have confidence that everything that happens to us is in our own best interests. 14 Romans 9:1-13 Is the Gospel too Good to be True? Romans 9-11 must be read as a unit that builds to a wonderful climax. It contains some of the most difficult material in the Bible. On what is the basis does God choose? Paul’s answer is that God as God has a sovereign right to choose who receives mercy. Taking religion seriously is not the answer. 17 Romans 11:1-32 Did God Reject His People? 18 Romans 11:33-12:21 How Shall We Live? 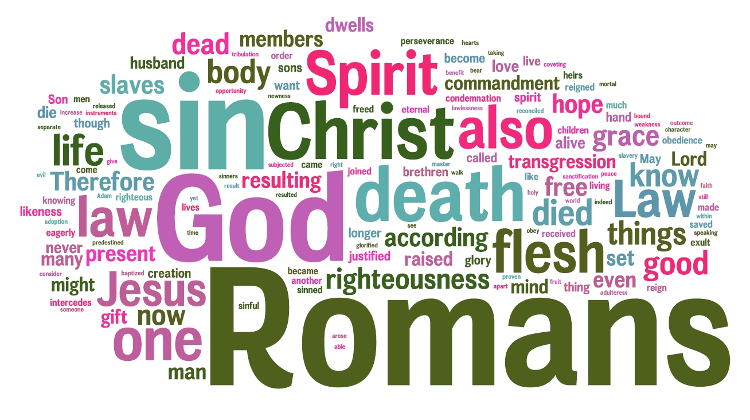 Based on what we now understand about God and His grace from Romans 1-10, how shall we live? Paul continues his application of how we should live in light of the gospel. In this often-debated passage he explains how to be good citizens. Paul explains what it means to live as people who are free to love one another – free of guilt, uncertainty, or doubt. How can you have fellowship with somebody who does things you do believe a Christian should do? Paul’s first answer: what you should not do. How to live with those you disagree with and what happens when you handle strife properly. Paul closes this letter as he began, with a personal word about himself and the church in Rome. Paul closes his letter with collection of names, greetings, memories, and thoughts about life.